As a non-commercial website, there are very few brands The London Foodie has partnered over the last few years. I was honoured however to have been asked to collaborate with Martell Cognac – and can certainly say that as a chef, food and travel writer this has been an incredible journey. 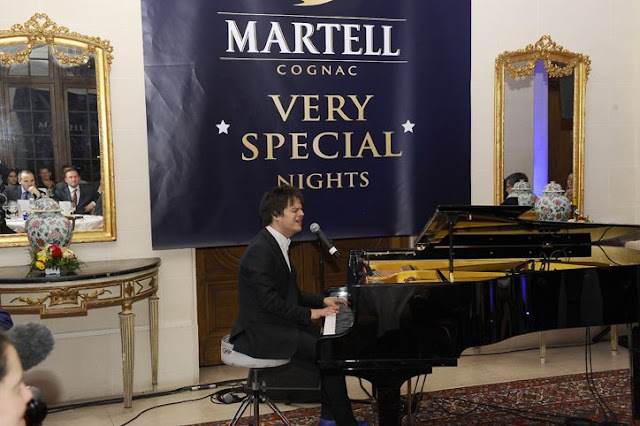 Three years ago I visited the distillery and their fabulous Château in Cognac, France for one of their Very Special Night event with singer Jamie Cullum and food by none other than Raymond Blanc. This was an unforgettable experience which I wrote about here. In 2015, in celebration of Martell Cognac’s 300th anniversary, I hosted two Very Special Night Supper Clubs at my home in Islington, devising two seasonal 6-course French menus to be paired with a number of Martell cognac labels and cocktails on each occasion. More on these Very Special Night Supper Clubs here. 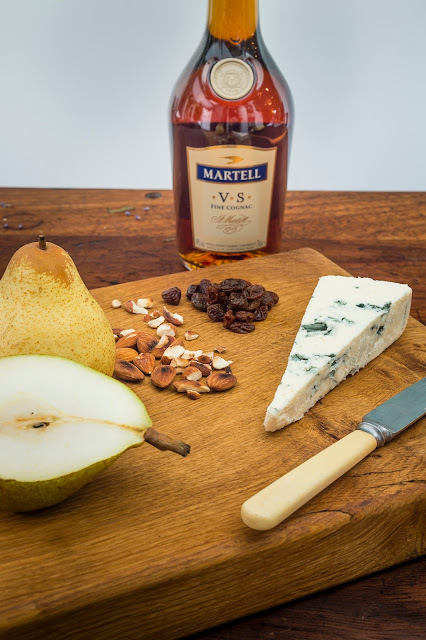 And more recently, Martell Cognac and I collaborated again as I was asked to devise a number of food pairings for their new campaign - the Martell Cognac VS 4th Course. L’art de vivre or the art of living is a wonderfully French concept - the notion that a life well lived should be a thing of beauty, substance and conviviality. For over 300 years Martell Cognac has placed l’art de vivre at the heart of its eponymous spirit, and their 4th Course campaign is another expression of this. As I have come to appreciate over the last few years, Martell is all about getting people together, creating a convivial environment with fantastic food and company in which to appreciate a glass or two of Martell Cognac. 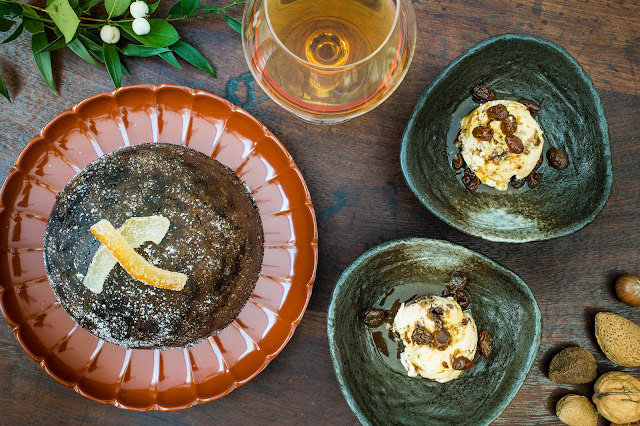 After serving a three-course dinner, you may want to share a bottle of Martell Cognac with your closest friends and family, and with it you may also like to offer a morsel of something delicious and uncomplicated. 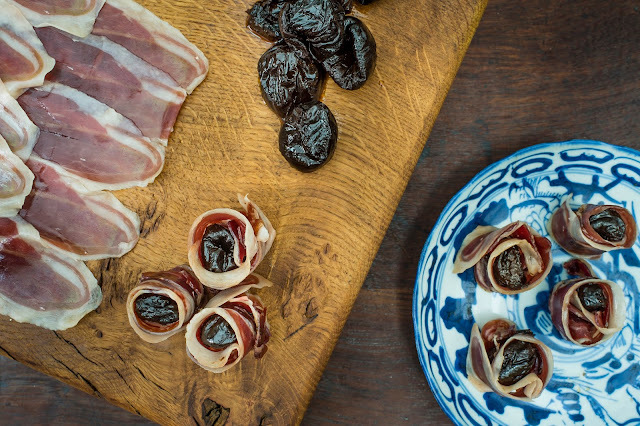 And this is what the Martell Cognac 4th Course is – delectable, easy and accessible food pairings I devised that can be prepared in a few minutes with ingredients that are readily available in any major supermarket (just like your bottle of Martell Cognac)! 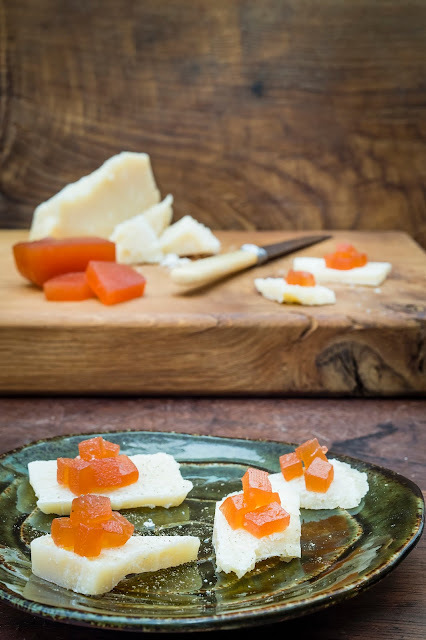 These simple pairings are easily put together in a matter of moments, leaving you free to indulge in the special moment of the evening when the conversation and Martell Cognac are flowing freely after dinner, and of course you wouldn’t want to miss that, would you?! One of these pairings was my Christmas Pudding Ice Cream. If, like me, you love Christmas pudding but find yourself too full to enjoy it after a long Christmas meal, this recipe is for you. Love or hate it, you will undoubtedly have your fair share of this quintessential English pudding this season. It is also likely that one or possibly several of these babies will be left in your cupboard come the end of the Christmas festivities. If all that gloriously rich food has finally got to you by then, there is no better way to use up your Christmas pudding leftovers than in this easy to make and deliciously refreshing Christmas Pudding Ice Cream. Now, if you don’t have an ice cream maker, or have no intention of buying one, I have also created a Super Fast Christmas Pudding Ice Cream recipe which will deliver another fantastic 4th Course Martell VS food pairing with none of the hassle. I copy both recipes below. In addition to my Christmas Pudding Ice Cream, I devised other pairings which I hope you may also like to try at home – these include Iberico charcuterie & Martell Cognac soaked prunes; pears, Roquefort cheese & toasted almonds with Martell soaked raisins; and also one of my favourites, a pairing I call Romeo & Juliet – slices of 30-month aged Parmesan cheese topped with cubes of quince paste (known as membrillo, although other conserves can also be used like guava jam). Whether you are looking for a contemporary twist on a classic Christmas dessert, or simply to enjoy a 4th Course as part of your meal, all pairings were designed to enhance the blend of fresh citrus and pear flavours, wood and spice notes, and velvety texture of Martell VS.
For more information on Martell VS and the 4th Course food pairings, visit the Martell website here. Let me know how you get on with the 4th course pairings, I would be very keen to hear your feedback. I hope you enjoy them! A seasonal pairing with myriad spices including cinnamon, vanilla, star anise and cloves that should complement the wood and spice notes of Martell VS. A lighter version of a Christmas favourite, this should be a great 4th course pairing at the end of a long Christmas meal or at any time of the year. As with most ice-cream, the base mixture is made from Crème Anglaise or a light custard. The beauty of it is that this mixture can be infused with a huge variety of different ingredients, which means that most flavoured ice-cream can be made from this "starter" mixture. The humble vanilla ice cream is made from infusing crème anglaise with vanilla seeds, green tea ice cream with matcha powder, chocolate ice cream with high-quality melted chocolate, so the variations are endless. For this Christmas Pudding Ice Cream recipe I am using a number of spices which are found in the pudding itself including cloves, cinnamon, nutmeg, cardamom and vanilla to flavour the custard base. For top quality ice cream, the most important elements are a good crème anglaise which is well flavoured and lump-free, excellent quality ingredients and a good ice-cream maker which will churn the ice cream, breaking the ice crystals as it freezes. Domestic ice cream makers can be purchased from as little as £20, and are in my opinion a worthwhile investment for what they deliver. 1. Soak the dried raisins in Martell cognac for a few hours or overnight until they are plump, very soft and have soaked up enough cognac. 2. Using a small knife, split the vanilla pod lengthways and scrape off the vanilla seeds from the pod. 3. In a medium sized pan, add the milk, cream, vanilla pod (reserving the seeds for later), half the sugar, cloves, cinnamon sticks, nutmeg and cardamom pods. Warm this mixture through until nearly boiling point, then remove it from the heat, cover and let steep for a couple of hours. 4. Using a sieve, strain the infused mixture into a clean medium sized pan, add the vanilla seeds and warm this mixture through. 5. While the infused mixture is being re-heated, using a whisk, quickly blanch the egg yolks by whisking them vigorously with the remaining half sugar until it is dissolved and the mixture is whitened (blanched). 6. Turn the heat to low, and add the egg and sugar mix (1/3 at a time) into the infused milk. Using a rubber spatula, mix this constantly ensuring that the egg is not cooked or burnt at the bottom of the pan. Reheat the mixture until it starts steaming, if you feel the mixture is overheating, move the pan on and off the heat while mixing. The desired consistency is "coating consistency" or in other words, when a line remains clear as it is drawn on the back of the spatula, and the custard is thickened. Do not overheat the custard - egg yolks will curdle if the temperature goes much higher than that. 7. Pour the custard into a clean bowl. Cover the surface with cling film to avoid creating a crust and let it cool down for a couple of hours. If you are in a hurry, place the bowl over an ice bath and stir until the flavoured crème anglaise has cooled down. 8. Pour the cooled mixture into your ice cream machine and churn and freeze this according to the manufacturer's instructions. It will take approximately 45-60 minutes. 9. Just before stopping the churning of the ice cream machine, stir in the chopped up Christmas pudding, and churn for a couple of minutes until well combined. Place the ice cream in the freezer until required. 10. To serve, take the ice cream out of the freezer and leave at room temperature for 10 minutes. 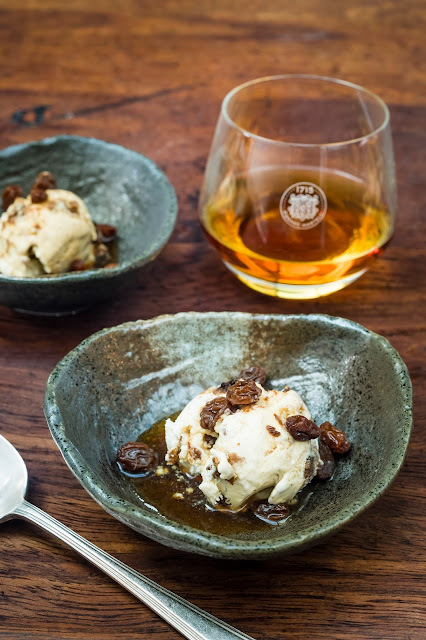 Then scoop the ice cream into a small bowl and top it with Martell soaked raisins and the luscious soaking liqueur. Cook’s Note: If you do not have an ice cream churner, place the mixture in the freezer, take it out every hour and blitz it in a food processor to break up the ice crystals, return the mixture to the freezer and repeat this 3 or 4 times on the hour. 2. Place the ice cream, the ground mixed spices and the Martell VS in a food processor and whizz for about 10 seconds until thoroughly mixed. Turn off the food processor. 3. Add the chopped Christmas pudding to the bowl, using a spatula gently mix it into the ice cream mixture. Do not over mix as you want to keep some Christmas pudding texture. 4. Quickly pour this mixture into a sealable container and return to the freezer for a couple of hours before serving. 5. To serve, take the ice cream out of the freezer and leave at room temperature for 10 minutes. Then scoop the ice cream into a small bowl and top it with Martell soaked raisins and the luscious soaking liqueur. Thanks James, hope you enjoyed the ice cream too!